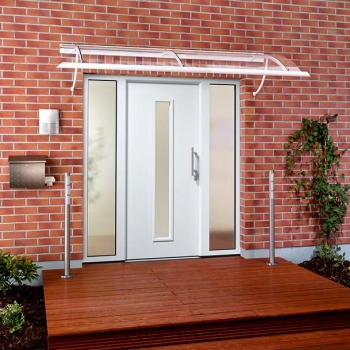 Our range of front entrance doors are extremely versatile. 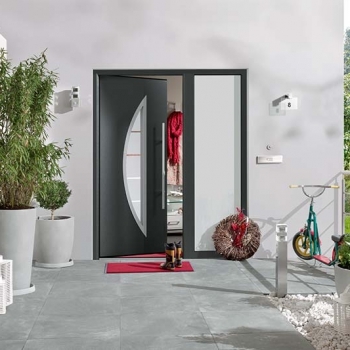 There is a front entrance door for every requirement, and their versatility means they can be used in a number of different environments. 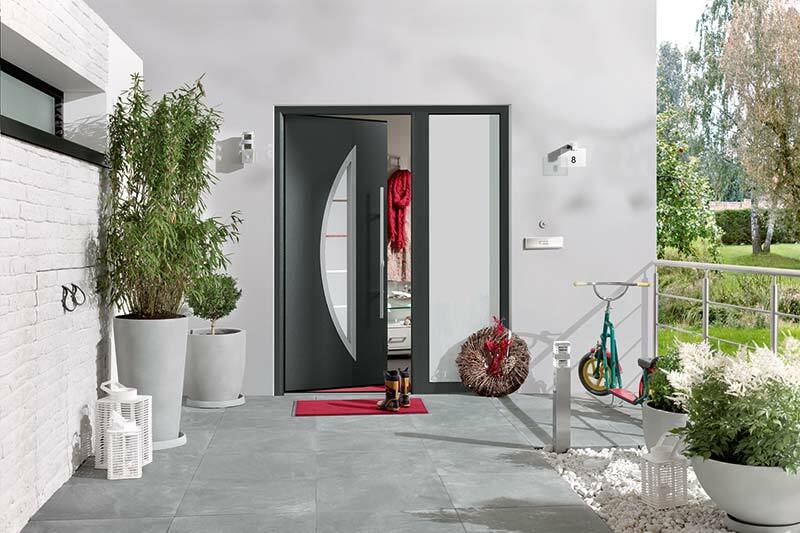 This is thanks to a huge number of available styles and colours, their strength, durability and reliability. Rockdoor Composite Doors – the driving force behind composite door technology for over 20 years. 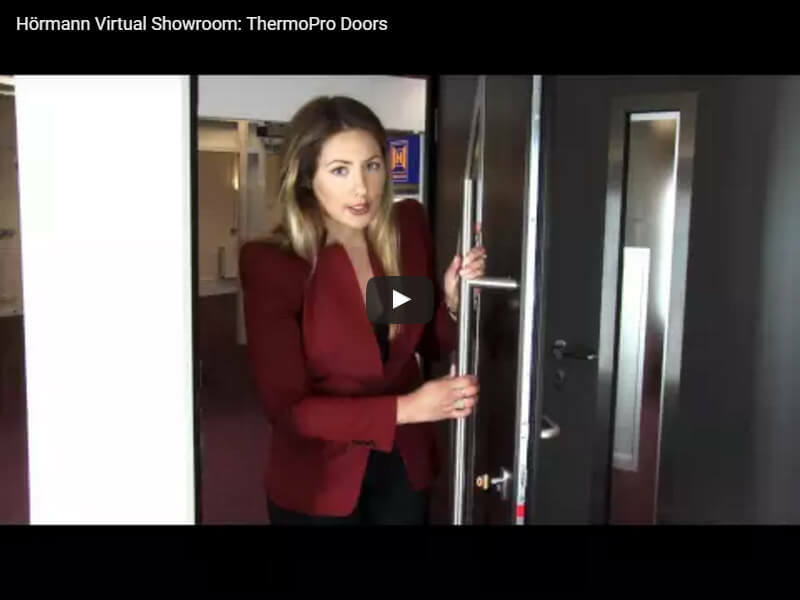 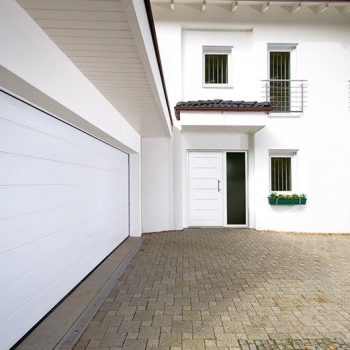 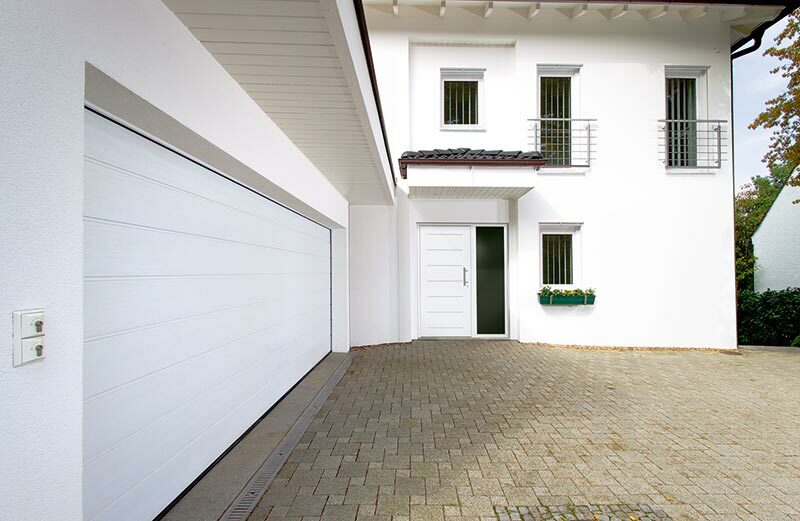 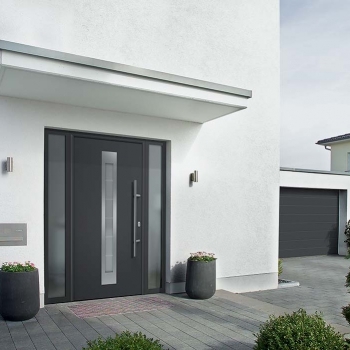 Hörmann ThermoPro Doors – Equipped with a solid, 46-mm-thick interior and exterior steel door leaf with internal leaf profile and thick rebate design. 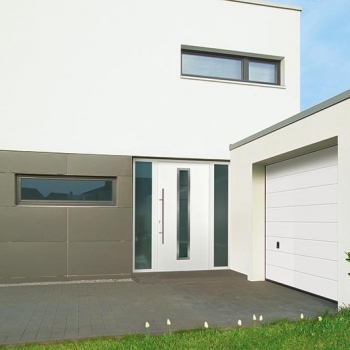 A modern, highly insulated, high-security door. 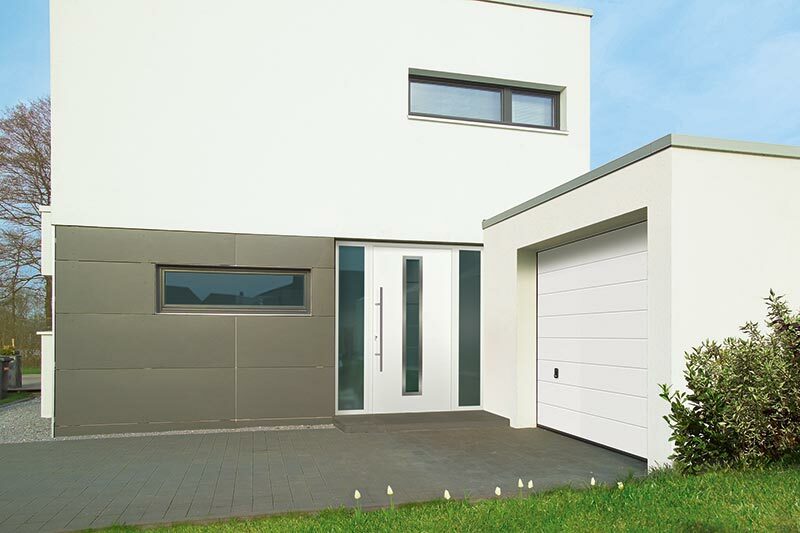 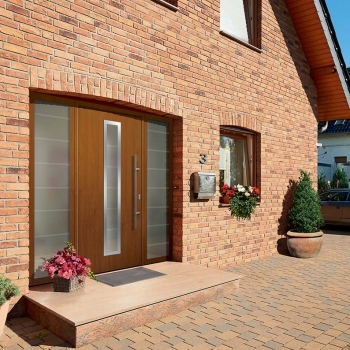 Hörmann ThermComp Doors – A superb range of composite doors offered by Hörmann with customisable design and colours. 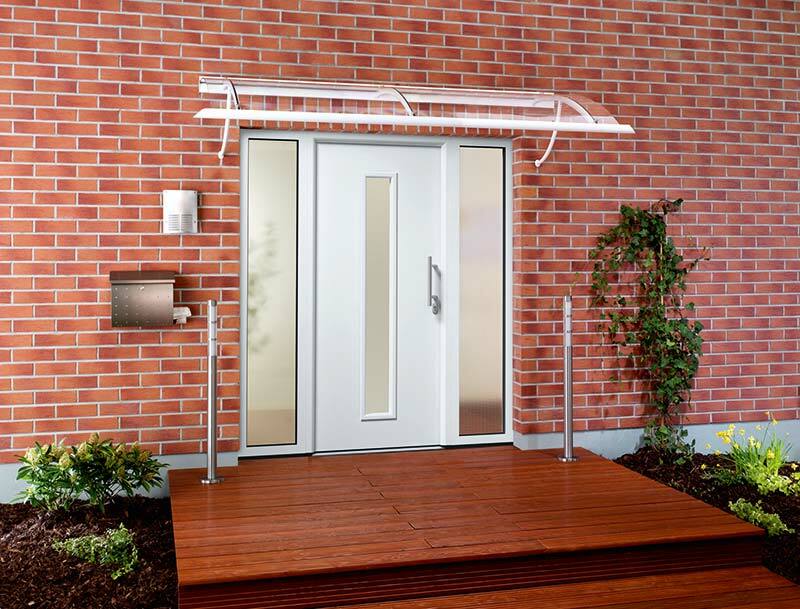 The great sealing qualities of these doors dramatically reduce heat loss and effectively keep your property sheltered from the elements. 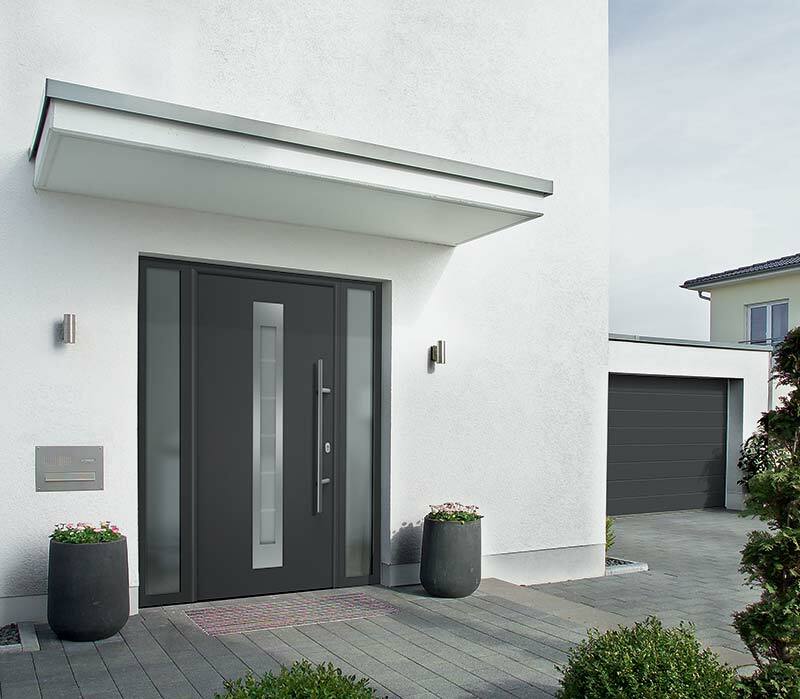 No matter what style you choose and whatever glazing option you go for, you can be sure that our range of front entrance doors will provide you with a safe, secure and highly insulated entrance – regardless of your requirements.